CicLAvia Pictures! - Yo! Venice! 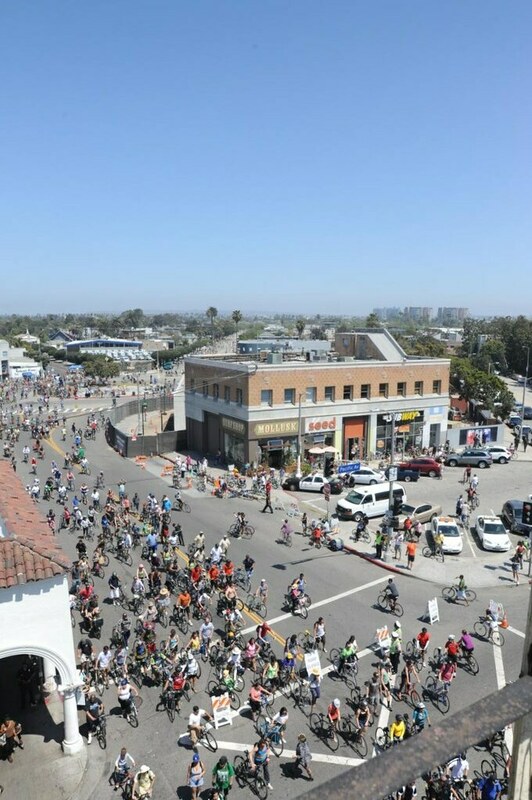 Home Venice Beach Events Kids Events CicLAvia Pictures! CicLAvia organizers have estimated that somewhere between 100-150,000 people participated in the “Downtown to Venice” event yesterday. Unfortunately I was not able to ride the complete route (rotator cuff tear), but did a short ride to Mar Vista and back. Here are some of my pictures! Click here to see the slide show “real size”, or here to see them individually! What a great day and an awesome event! Hopefully with all of the new and improved (wider!) bicycle lanes in the City, people will start using pedal power more frequently! The next CicLAvia event will be held on June 23rd on Wilshire Blvd. There will also be an event downtown on October 6th! Thanks to everyone at CicLAvia and all of their supporters for making this happen!